Take Care Messages for Boyfriend : Boyfriend- girlfriend relationship is the cutest and sweetest relationship in one’s life. Your boyfriend is always a special person for you. Caring is an indivisible part of a relationship. You can be his strong support in hard times, can also share his happiness, can inspire in his down moments. That’s all about caring. You may send sweet, cute and romantic caring message to your boyfriend, in which by saying “Take Good Care Of Yourself” you can show your carefulness for him. Send such type of message to give him a chance to realize how much you take care of him. 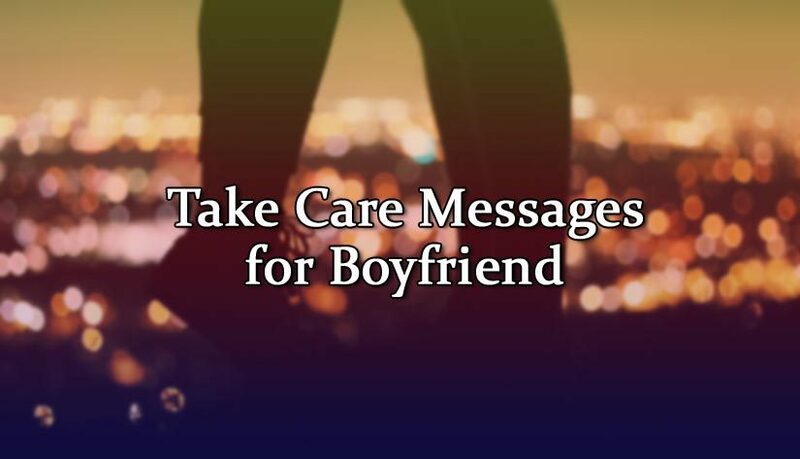 Here we provide some Take Care Messages for Boyfriend in 4 different sections. Let’s chose the appropriate one for you and send your boyfriend. I am very lucky that I got you in my life as my boyfriend. You gifted me lots of loving days. Take proper care of yourself and be happy together. My boyfriend, here I am sending you the greetings and wishing you to have a good day. Take better care of yourself. I love you <3 ! Darling, I love you so much. Your smile is the cause of my happiness. Keep your sweetheart happy by the sweet smile of yours. So, take appropriate care of you and keep smiling. Oh my handsome, I live far away from you! If I would with you then could take proper care of yours. However, take care of yourself and stay in peace. I love you! If there are several peoples for caring you, then I am one of them. 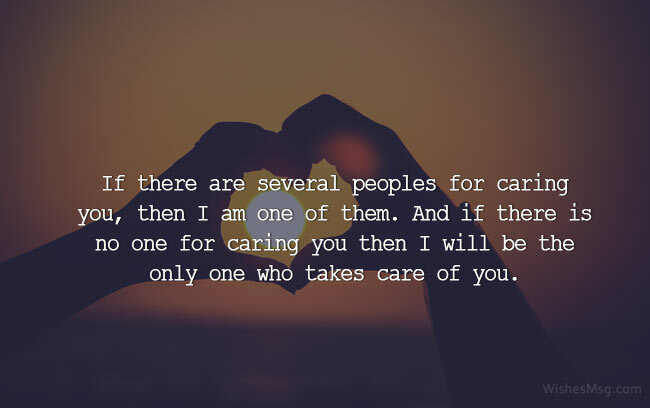 And if there is no one for caring you then I will be the only one who takes care of you. My love, You are a part and parcels of my life. So, there is mandate duty for you, and this is to take care about yourself. Take care and stay well. Darling! every day at several times, I said you “I love you”. This is not only love but also a lot of care for you. Take care of yourself and be happy always. My prince, you are the best achievement of my life. I know how much you love me! I wish our loving days will be long-lasting. Take care and be with me forever! You and I together made a complete entity. So, be more careful about you, your health and everything, that will be the care for me. I am very grateful to Almighty who gifted like you. It makes me surprised with thinking that, how much do you care for me! My prince, you should be also careful about you. You bring peace and happiness in my life. I hope this happiness will have lasted to the last day of my life. Always take the better care of you. You are the king and I am the only queen. And now Queen is requesting the king to take proper care of his health. Take care of you and be happy with your queen. I wanna see my boyfriend as like as a superhero. So, my love, you have to be more strong and healthy. LoL! Take care of yourself my handsome. I love you. As 1*1= 1, similarly, when you and me in a relation, we are now not the several entities rather turned into one. So, I have the right that you will take good care of yourself and make me happy. My hero, in all situation, you have to protect me. And you will be failed if you don’t maintain a good health. So, take care of yourself and be serious about your health. There is a proverb “Health is wealth”. 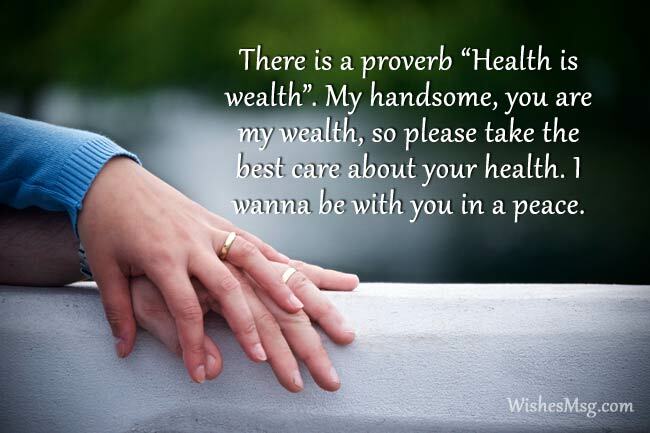 My handsome, you are my wealth, so please take the best care about your health. I wanna be with you in a peace. Something I become worried when I think, whether I or Cigarette is more important in your life? How many times I asked you to leave cigarette! My love, please take care of your health. I know my love, whatever happened to you were not good at all. Don’t worry dear, all thing will be okay. Take care of yourself and always remember I am here for you forever. Your sweetheart is always beside you, and will always give support to you. You are not alone. Just take proper care of yourself and the nice day is waiting for you. My boyfriend, here your girlfriend is whining you the loving days and advise you to have a healthy eating habit. And I will be very happy if you take proper care of yourself. I am sending all the love to you, and wishing your day will be happier. Wanna advise you to maintain the healthy lifestyle. Take care of yourself and always stay well. Don’t be upset. Take a proper rest. And all will be okay after a time. It’s the time to take care of your health. Take care, my love. I have a dream with you. And have believed one day you and me together will make it true. You are the only one who can assist me. 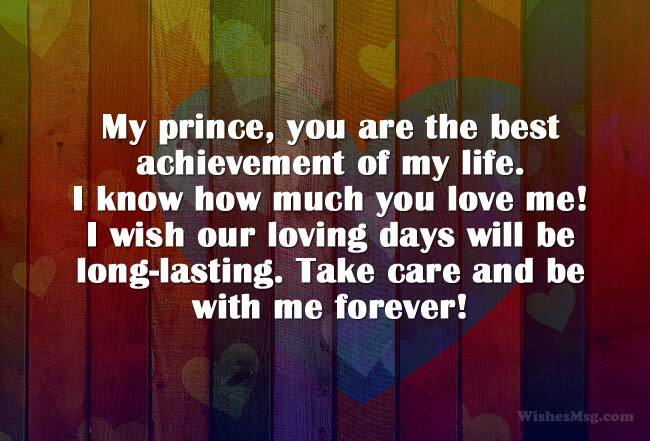 Take care my prince. You can send such type of caring sweet and romantic messages in the morning, afternoon, evening or at night. It will really help because it’s a good way of proving to your lover that you do a lot of care for him.